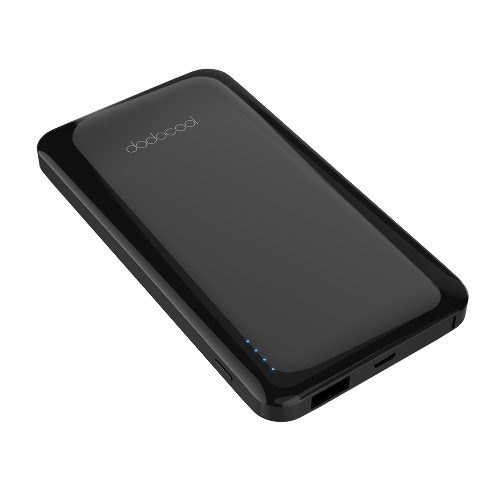 dodocool 20100 mAh Power Bank with 45W USB-C PD comes with one 45-watt USB-C PD charging port and two standard USB charging ports. 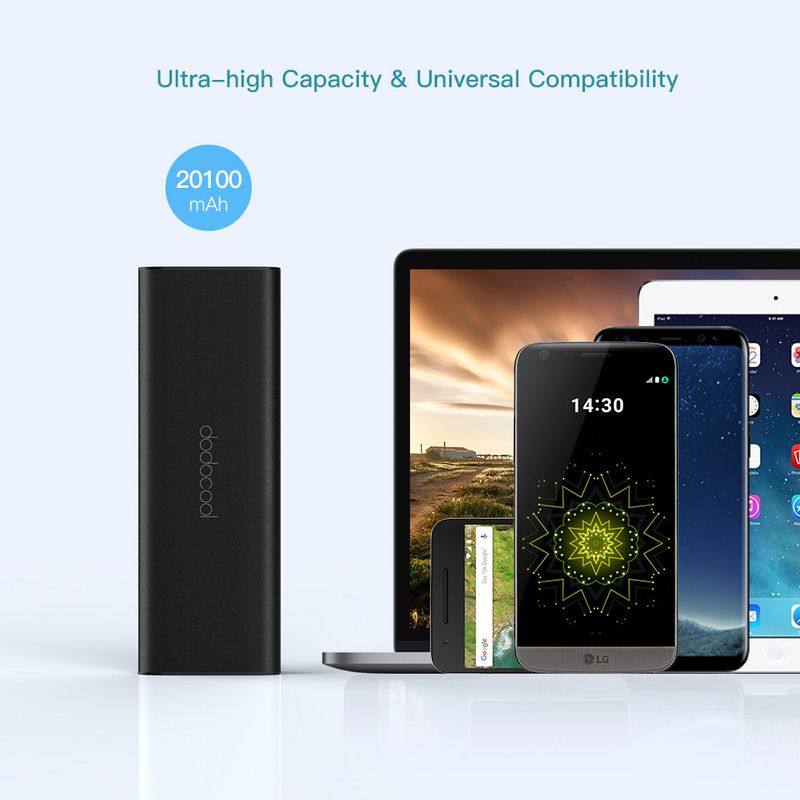 Charge up to three devices simultaneously. 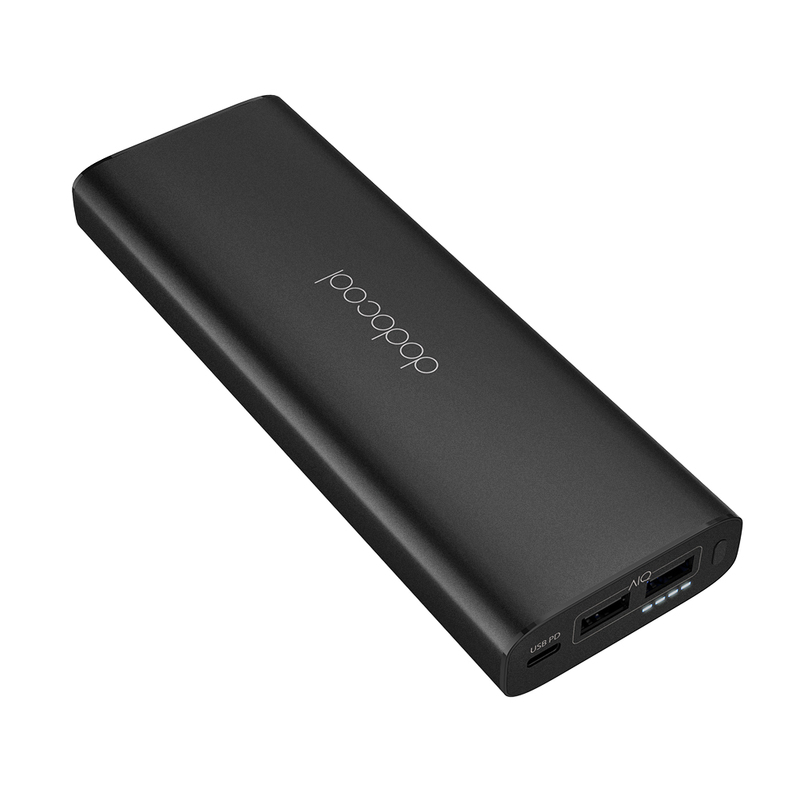 You can either recharge this power bank or charge one USB-C device via the same USB Type-C port. 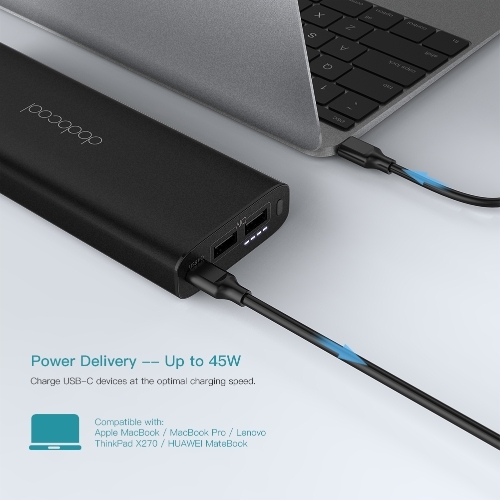 With the Power Delivery (PD) function, the USB Type-C port can deliver up to 45W power to PD-enabled USB-C laptops. 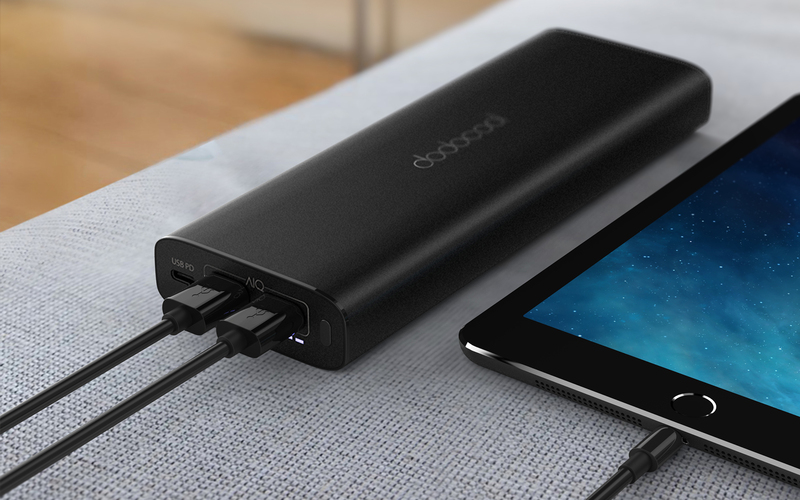 You can also charge up to two USB-powered devices via the USB charging ports. 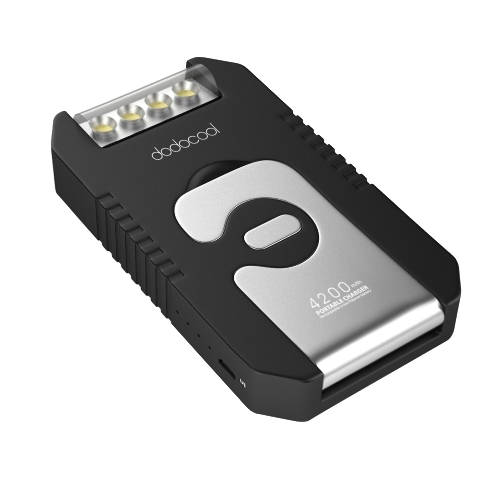 Compact design enables you to take it with you wherever you go. 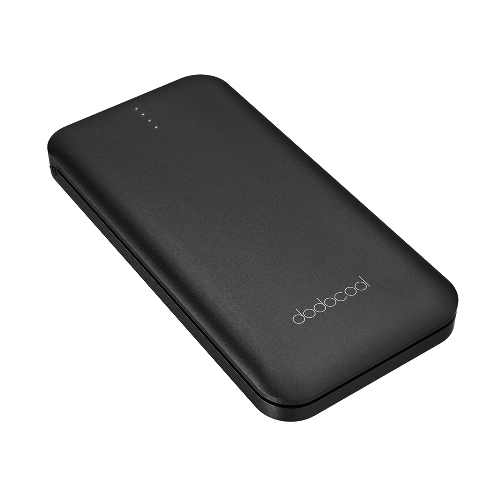 Up to 20,100 mAh capacity adds several times extra battery life to most USB-powered devices. 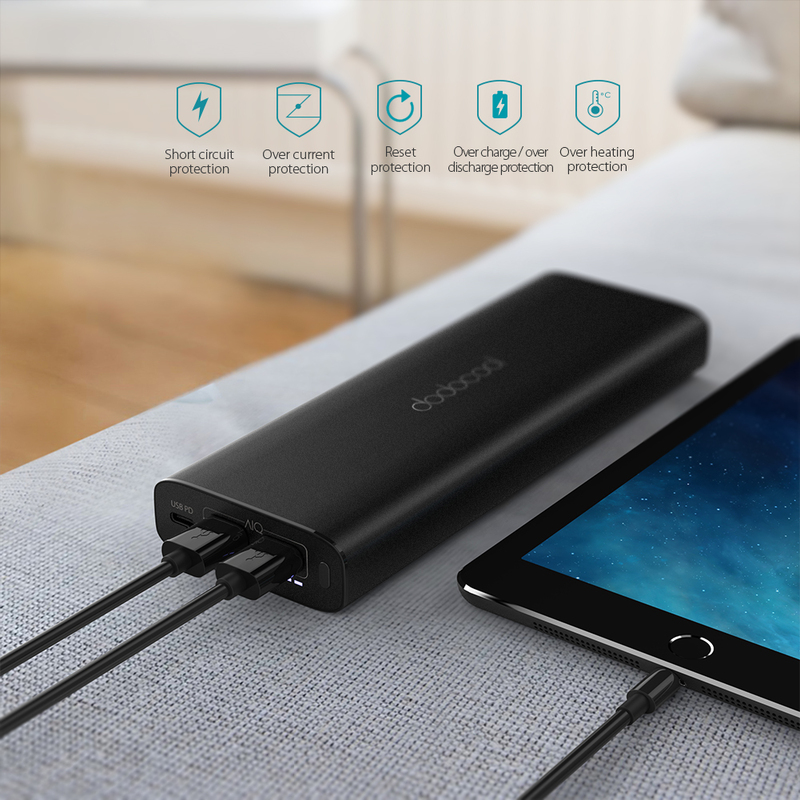 Charge up to 2 USB-A powered devices and 1 USB-C powered device simultaneously. Charge a USB-C device, MacBook or other PD-enabled USB-C devices at the optimal charging speed, up to 45W. Using with a PD-enabled USB-C charger, you can fully recharge this product in about 3 hours (Up to 6.5 times faster than with a standard 1A charger). USB-C power adapters are sold separately. Smart AIQ technology intelligently detects your device and delivers the optimal current. You can enjoy a maximum USB-A output of 2.4A. Built with premium circuit chips. Overheating protection, short-circuit protection, over current protection, over charging protection, over discharging protection and reset protection keep you and your devices safe. Charging automatically starts when a device is connected. 4 LED indicators let you know the exact battery level at a glance. Automatically power off after disconnecting devices for about 15 seconds. 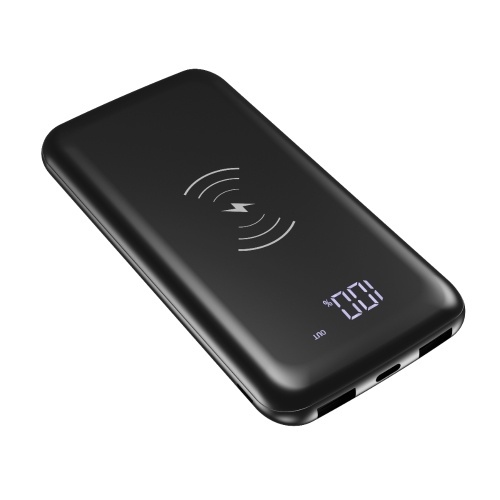 High-density lithium battery cells and streamlined aluminum alloy housing make it ultra-compact, portable and durable. (1) To save energy, disconnect your devices from this product when not in use. 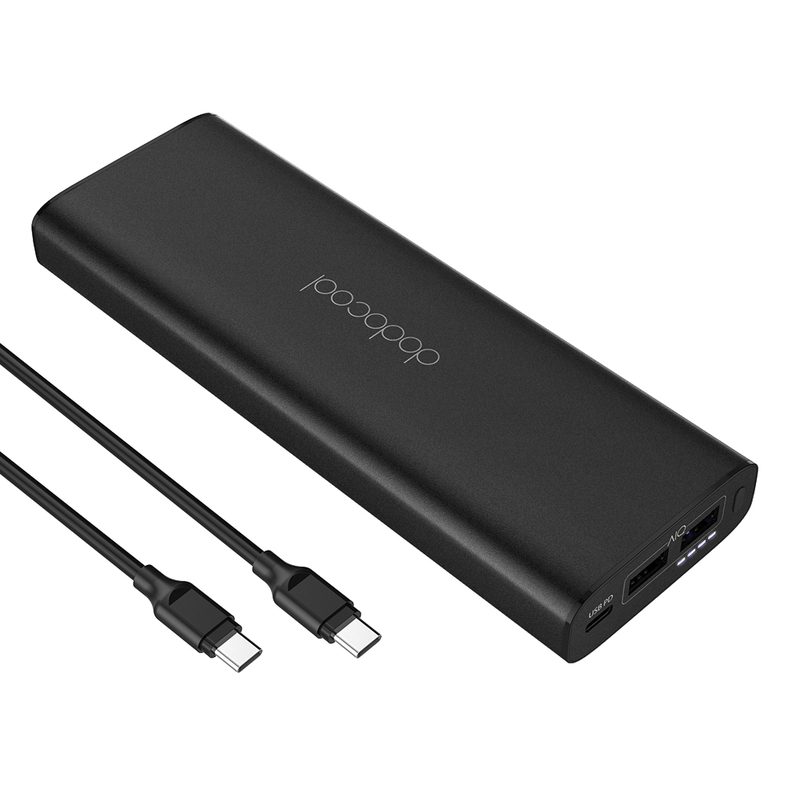 (2) To use the Power Delivery function to charge a connected USB-C laptop, the host USB-C port from your device must support USB-C Power Delivery. (3) Not compatible with Google Chromebook Pixel (12.85", 2015) or HP TPN-C127 (HP Spectre Notebook, HP Spectre Notebook 13t, HP Spectre Notebook 13, or HP Spectre Notebook PC). 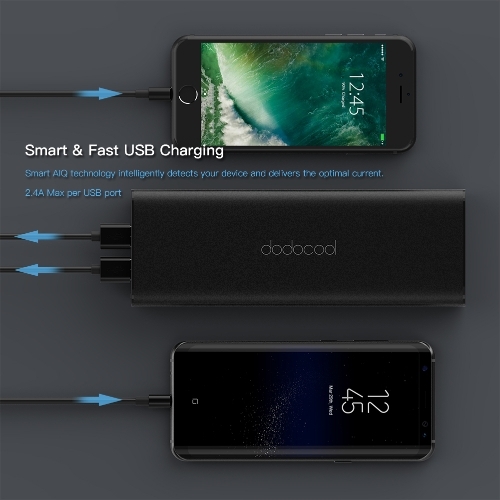 (4) Do NOT recharge it with a USB-C laptop. 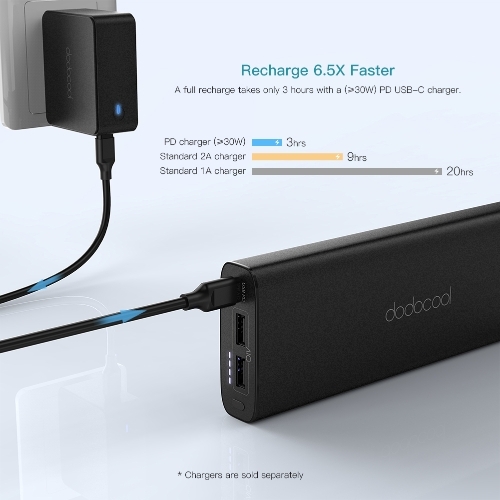 (5) It is recommended to use a PD-enabled USB-C power adapter rated 30W or more, such as Apple 29W/61W/87W USB-C Power Adapter / dodocool 45W Type-C PD Charger (DC58) / Lenovo 65W USB-C Power Adapter / HP 45W USB-C Power Adapter. Power adapters are not included. (6) No data transfer function. Note: Actual recharging time varies from different USB-C power adapters.